Aveda is a brand I’ve circled around for more than two decades. Every five years or so, I come back to Aveda, but I never stay loyal. There are just too many other good beauty brands out there for my fickle heart. Two weeks ago I had some time to kill before a work dinner and stopped into the Aveda Experience Center, which is conveniently located across the street from my new office. Did I mention my new office is in a dangerous location, one that is perilously close to fine retail offerings? To be honest, I’ve never been particularly impressed by Aveda’s skin care line. While I generally love how Aveda products smell, when it comes to efficacy, I don’t want flower extracts, I want ALL THE CHEMICALS that science can deliver to magically make me look ten years younger. But there was something appealing about Aveda’s new Tulasara line that captured my attention. This soft brush exfoliates dead skin cells at the surface and preps skin for further treatments. It’s meant to dry brush clean skin and then be followed by this pleasant smelling oil. It’s a bit complicated, but Aveda describes using these two products together to create a “Radiant Awakening Ritual” (see the video here) that makes skin glow. The brush is first swept across the face, neck and upper chest in upward circular motions for a minute, then downward strokes are done to cover the same surfaces. This is followed by application of the above oil, which is massaged into the skin for a minute and then allowed to soak in for four minutes before the skin is cleansed with your regular cleanser. If you’re puzzled, so was I, and if you’re keeping track, this is now adding a whole extra step to skin care, including making the face oily and then washing said oil off. For the record, I can get behind the idea that the brush may be gently exfoliating, and while the oil smells pleasant, I haven’t noticed any amazing glow. I’ve been trying to use this in the morning, when my skin is basically clean from the night before. After the oil step, I am using one of my regular cleansers (not Aveda) in the shower to wash my face. The texture is ok, maybe a touch sticky but I am also probably using too much at any given time. Of all the products, this one smells the most like kitchen spices. The smell reminds me of these cumin roasted carrots I made over the weekend. Aveda describes this as an overnight masque, but honestly, it’s like a rich moisturizer that could be used for everyday wear if you have dry skin. The smell is more pleasant than the serum above and I’ve been using it as moisturizer. The Aveda employee who helped me at the Experience Center mentioned this was perfectly fine to do, but he cautioned that this doesn’t have SPF in it. Good to know. Was this the end of my Aveda spree? Unfortunately, no. I also bought a bunch of hair stuff, which I will review at a later time. However, they did give me a free head massage, two cups of tea, and a deluxe size bottle of Rosemary Mint concentrate for being such a great customer that day at the new Aveda Experience Center! While I’m still waiting for an amazing glow and transformation, I have pretty low expectations for these products and am enjoying them for what they are, namely great smelling lotions/potions/elixirs that promise a Zen-ish lifestyle to which I aspire. I loved advent calendars as a kid. I didn’t get one every year, but when I did, I delighted in opening a tiny paper door every day to reveal a surprise. The usual calendar that we got had a holiday-ish picture behind the door, like a candle, a tree, a manger. You get the idea. One year, though, I hit the jackpot; my grandparents gave me an advent calendar that held a piece of chocolate behind each door. The final door – December 25th – held a big chocolate Santa. I loved that calendar. At $55, this boasts 24 beauty gifts for a value of $107. – Aromachologie Relaxing Shower Gel 1.18 fl. oz. – Aromachologie Repairing Shampoo 1.18. fl. oz. – Shea Butter Body Lotion 1 oz. – Shea Ultra Rich Face Cream 0.33 oz. – Almond Delicious Hand Cream 0.33 oz. – Peony Hand Cream 0.33 oz. – Shea Butter Shower Gel 1 oz. – Cherry Blossom Shimmering Lotion 1.18 oz. – Verbena Shower Gel 1 oz. – Rose et Reines Hand Cream 0.33 oz. – Almond Shower Oil 1.18 fl. oz. – The Vert & Bigarade Shower Gel 1 oz. – Jasmin & Bergamote Shower Gel 1 oz. – Cherry Blossom Shower Gel 1.18 fl. oz. – Shea Butter Hand Cream 0.33 oz. – Verbena Leaf Soap .88 oz. – Cherry Blossom Mini EDT 0.25 fl. oz. – Verbena Hand Cream 0.33 oz. – Immortelle Essential Water 1 fl. oz. – Shea Butter Cleansing Water 1 fl. oz. – Almond Delicious Soap 1.76 oz. – Almond Milk Concentrate 0.67 oz. – Shea Butter Foot Cream 0.33 oz. Wow! I secretly want this for myself but it would make a terrific gift. 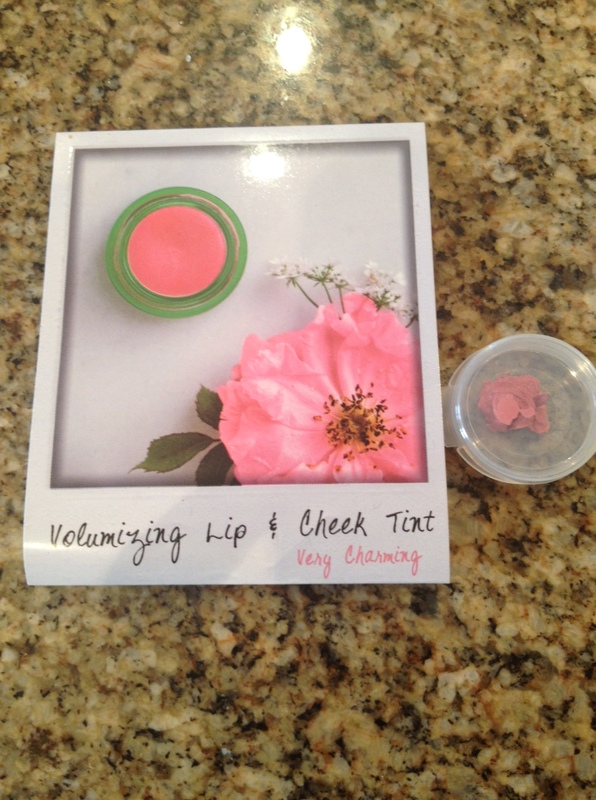 You could easily break it up into stocking stuffers or small gifts for several people. It’s also a great way to try new L’Occitane products without a full-size commitment. 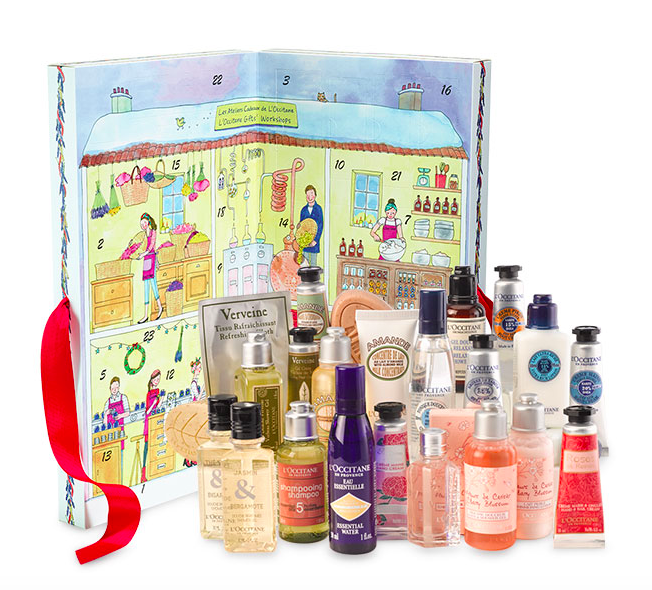 L’Occitane also frequently runs gifts with purchase specials and will throw in a free gift wrap set (always ask for this! It’s very nice) upon request, plus samples with every order. Nearly 20 years ago I visited New York City for the the first time. While Spouse and I did some cultural and touristy things (Ellis Island, Central Park), I spent an embarrassing amount of time shopping, eating candy from Dylan’s Candy Bar and consuming bagel sandwiches from delis across the city. And I was able to check off a bucket-list item: getting a treatment at Bliss Spa. At the time, Bliss was all the rage. Per Wikipedia: Bliss is “often credited for starting the mid-1990s spa boom.” I had to go. My introduction to Bliss was at Bliss 57 NYC, which confused me by being on the third floor of a relatively non-descript office building. Once inside, I loved the witty decor and the famous brownie bar in the waiting area/lounge. I only had one treatment (a facial), but I could have stayed all day. Or all year. Fast forward: Bliss has expanded (and diluted), changed ownership a few times, and my fickle tastes have migrated over the years. Yet I still have a soft spot for Bliss. Over the summer I had the opportunity to visit Bliss’ Chicago outpost, which is one of my favorites in the chain. The perfectly framed views of Lake Michigan are stunning. I got the Triple Oxygen Facial, one of their signature treatments, and a massage. Usually before a spa service starts, I remind myself to be quiet, relax and enjoy the treatment. And then I inevitably talk through the whole thing. I’m really curious about the steps, the products and the smells. Yes, the smells. I’m a sucker for skin care products that smell great, efficacy be damned. Near the end of the Triple Oxygen Facial there is a part where an “oxygen spray” is blasted through an airbrushing tool. It takes a few minutes to complete, and the mist has a soft, powdery scent that I love. I asked the technician about the fragrance and she mentioned that Bliss 24 Heaven healing balm smelled similar. Once the treatments were over and I had consumed more than my fair share of brownie squares (they still do this – yay! ), I hit the retail area to bring home some of the Triple Oxygen experience for myself. The tech was right: 24 Heaven balm *does* capture the powdery scent I love. It’s a bit too thick for summer skin but will be perfect for winter. I’ve been slathering it on at night. For regular skin care, I have been into double cleansing for a while, which is basically washing your face twice – once with an initial pass to get makeup off and then a second time with a treatment cleanser. I’ve been more or less doing this for the past few months and have seen great results. Out of all of the steps on the list, I suspect Peeling Groovy is the one that is making the most difference. 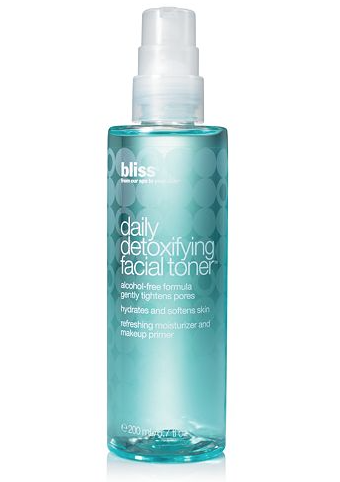 This is really excellent for brightening dull skin. Bliss also has a deal where a set of two Peeling Groovy serums are 20% off ($104 instead of $130), so this would be enough to get the free gift and save a bit on the serum, which I plan to keep using. This is my favorite situation: a deal and a freebie on something I love and would buy anyway. Game on. 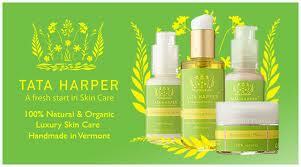 I’ve been seeing Tata Harper Skincare around the web so much lately, but I didn’t break down and try it until last month. The products are described as 100% natural and nontoxic luxury skincare. And with winter upon us, I’m loving face oils of all manner to keep my skin at its glowiest. 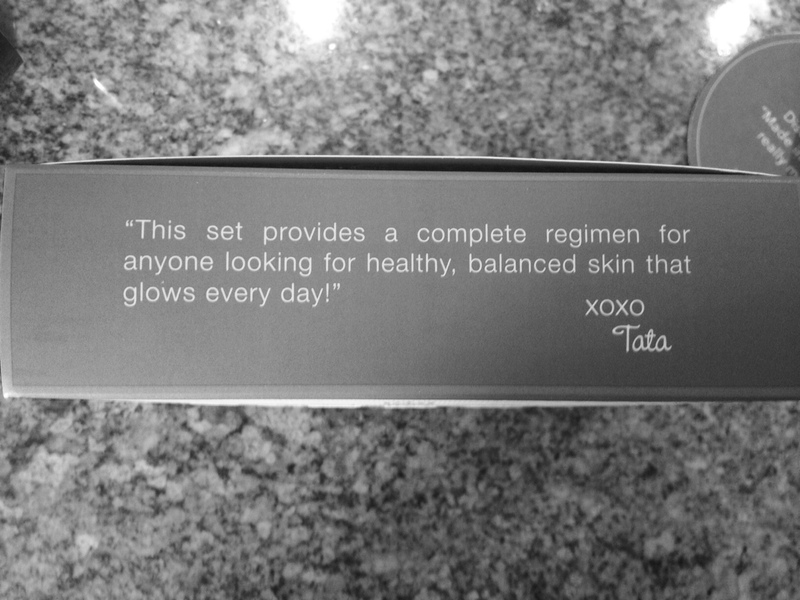 Tata’s line is pretty broad, so I decided to start with a Daily Essentials Discovery Kit ($68). (There’s also an even more affordable introductory Try-Me Kit for only $11). There were five samples in all. The color is a perfect petal pink and the formula melts right into the skin and lips, making them look ever-so-much better than on their own. It’s also a perfect match with using face oil to achieve a radiant, natural look. This is my favorite new discovery. 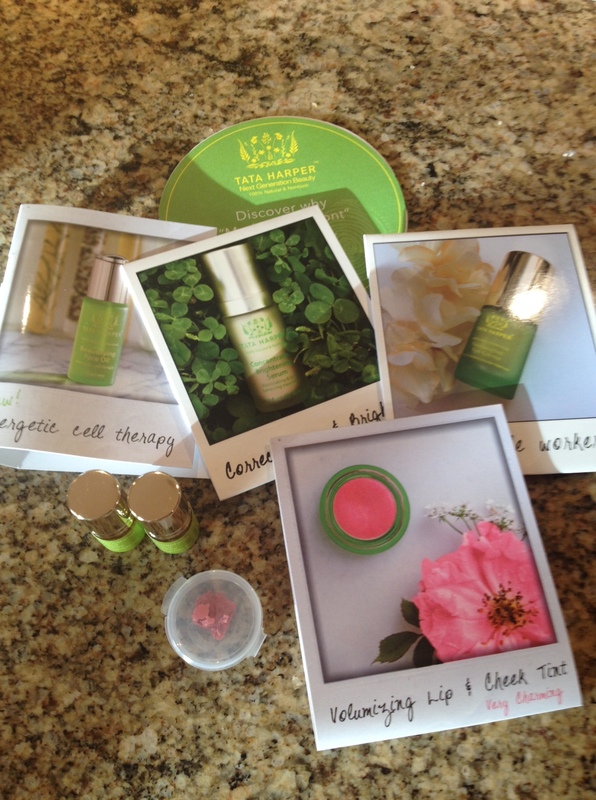 Other products I am loving include the best-selling Rejuvenating Serum and Beautifying Face Oil. They smell incredible! I want to get so much more.